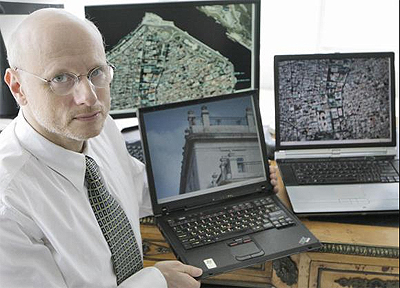 Scientists love it when their work has a direct impact on society, so Naphtali Rishe, director of Florida International University’s High Performance Database Research Center, is thrilled that much of his lab’s data is used by real estate professionals and urban planners. Check out one of his Web sites, which shows detailed maps of Miami-Dade County real estate sales data. Anybody who wants to can dive into the data in search of valuable pieces of information within a sea of geographic sales trends. One particularly interesting project that Rishe and his colleagues themselves undertook was analysis of the impact of the Gulf oil spill on real estate values on Florida’s west coast. . At a time when a lousy economy had depressed housing values, the Gulf spill drove them down even further. Rishe is just one of dozens of university researchers who have taken advantage of computing resources made available through the IBM/Google Cloud Computing University Initiative since the program was launched four years ago. “This is bread and butter for researchers like me,” says Rishe. Google and IBM are in the process of completing the program now that high-performance cloud computing clusters are so widely available to researchers at reasonable costs. With funding help from the U.S. National Science Foundation, the cloud computing initiative provided assistance to hundreds of university scientists working on research projects that could help us better understand our planet, our bodies, and pursue the limits of the World Wide Web. Overall, more than 1,328 researchers performed more than 126 million computing tasks on the IBM/Google Cloud. Researchers using the cluster have produced 49 scientific publications, educated thousands of students on parallel computing and helped support numerous post-doctoral candidates. Researchers have used the program for such diverse fields as astronomy, oceanography and linguistics. For instance, researchers at the University of Maryland used the cloud to greatly reduce the processing time for sequencing an organism’s genome, and scientists at Kyushu University in Japan used it to produce a 3D map and satellite navigation system. Rishe and his colleagues at FIU used the technology frequently to help them develop one of their primary initiatives, TerraFly, a tool for visualizing and querying geospatial data. The TerraFly data collection includes 7cm to 1-meter aerial photography of almost the entire United States, street vectors, parcel polygons, U.S. Census demographic and socioeconomic datasets, daily feeds from NASA and hundreds of other datasets.